The supply of homes priced $ 2 million or more fell 6 percent from a year earlier even as the home prices for luxury properties saw their lowest growth since the fourth quarter of 2016, according to a Redfin  report on luxury home prices. The report , which tracks luxury home sales in more than 1,000 cities across the country, indicated that luxury home prices rose 3.2 percent year-over-year to approximately $1.7 million in the third quarter. The average price for the bottom 95 percent of homes was $343,000, up 3.6 percent in the third quarter compared to a year earlier, but the growth rate was down from 5.1 percent in the second quarter. The vagaries of the stock market were one of the key reasons that had kept homebuyers for luxury properties away from the market, according to Daryl Fairweather, Chief Economist at Redfin. Looking at contract signings on luxury homes, the report indicated that they went under contract after an average of 65 days on the market, a decrease of eight days from the same period last year. San Jose, California led the cities where luxury homes sold the fastest with an average of 19 days on the market, followed by Ashburn, Virginia at 23 days; Oakland, California (28 days); Seattle, Washington (29 days); and San Francisco, California at 44 days. 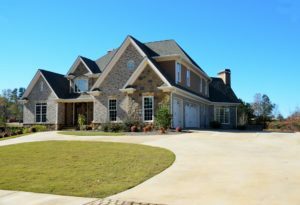 The report revealed that cities in Florida and Nevada saw the largest gains in luxury home prices in the third quarter. The growth in average sales price was the most in West Palm Beach, Florida where the average sale price of luxury homes shot up 54.5 percent over last year. In Reno, Nevada, luxury home prices increased by 29.6 percent as more buyers from the Bay area looked at properties in this area, while they increased by 26 percent in Boca Raton, Florida.